CHRISTINA | Sophisticated Diva ~ A.K.A. Along came Polly! #MICHE REPRESENTATIVE OPPORTUNITY! New starter kits, more product! For as little as $199*, you can get everything you need to start your Miche business—beautifully! Still have some questions?? CLICK HERE to see the commonly asked questions with the answers! 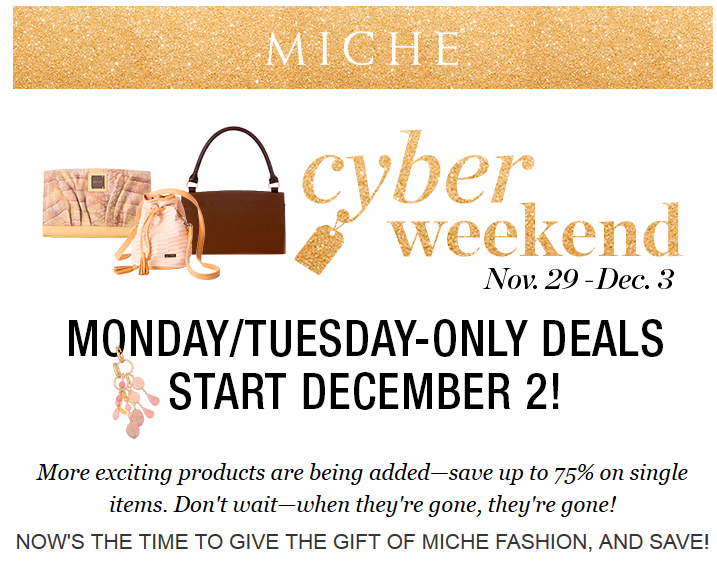 Miche inventory alerts!! Tatum is on the “limited” list!! SHOP HERE for these beautiful “flying off the shelves” Miche shells, get them before they’re gone!! LIMITED INVENTORY BUT RESTOCKING — GET IT NOW! !